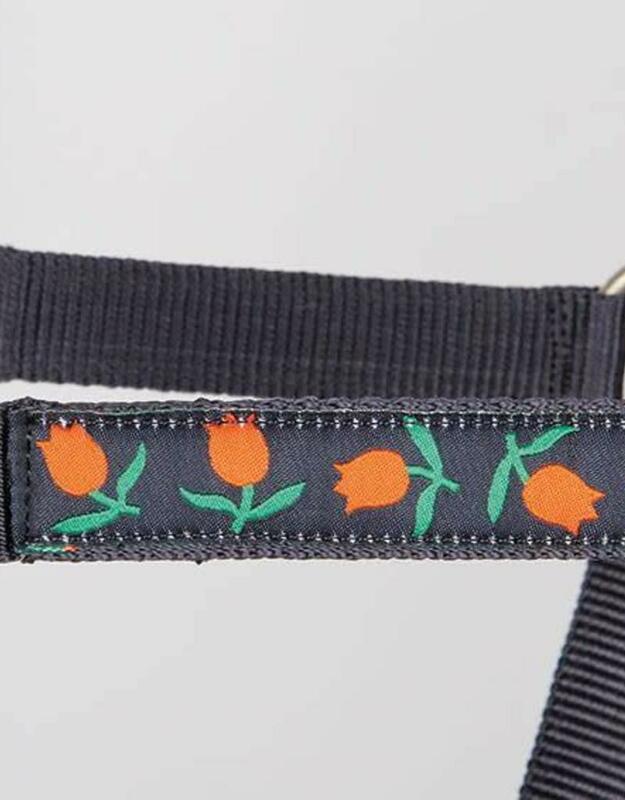 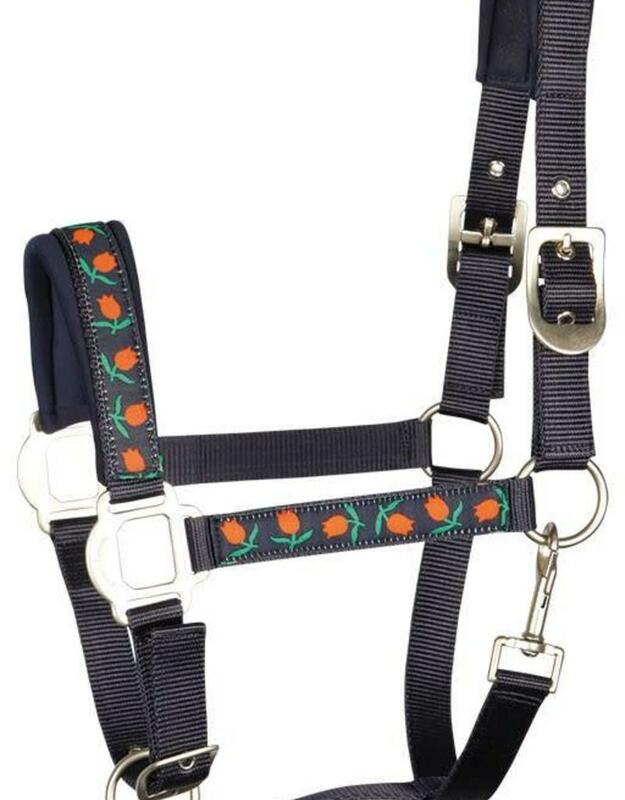 Head collar with a typically Dutch tulip theme on the nose band and cheek pieces, padded with neoprene, satin finish buckles with HH laser print logo. 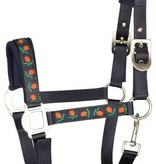 Adjustable in two places, on the headpiece itself and under the chin. 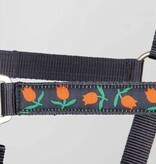 Comes with matching lead rope.